In this literature review we explain anthropomorphism and its role in the design of socially interactive robots and human-robot interaction. We illustrate the social phenomenon of anthropomorphism which describes people’s tendency to attribute lifelike qualities to objects and other non lifelike artifacts. 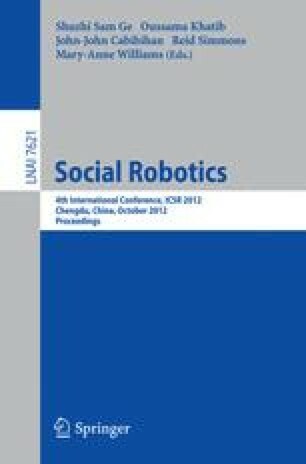 We present theoretical backgrounds from social sciences, and integrate related work from robotics research, including results from experiments with social robots. We present different approaches for anthropomorphic and humanlike form in a robot’s design related to its physical shape, its behavior, and its interaction with humans. This review provides a comprehensive understanding of anthropomorphism in robotics, collects and reports relevant references, and gives an outlook on anthropomorphic human-robot interaction.